The 3rd Steering Committee of CO-EVOLVE project was held on 16 – 17 November in Valencia by the Valenciaport Foundation. The partners involved discussed the project’s progress and next steps, and met with other projects addressing sustainable tourism and transport issues to explore opportunities for collaboration. The CO-EVOLVE meeting was held at a crucial period in the development of the project. Most of the deliverables related to the studying phase of the project have already been produced, including all reports on threats and enabling factors at Mediterranean scale and all analyses on threats and enabling factors at pilot areas scale. The tourism sustainability toolkit, which is one of the key tools that will be used for the upcoming testing phase was also released. Remaining deliverables – including the threats and enabling factors syntheses, the tourism sustainability at local scale (pilot areas analyses) and the tourism-driven strategic planning on pilot areas will be published in January 2018. CO-EVOLVE’s activities will be implemented in the seven pre-selected pilot areas. Each area will focus its actions on specific pre-identified challenges. The first day of the meeting was also dedicated to the project’s next steps, particularly the upcoming testing phase, which will be coordinated by the Emilia-Romagna Region. During the testing phase, pilot actions will be implemented for improved management of coastal touristic areas, based on the principles of Integrated Coastal Zone Management (ICZM) and Maritime Spatial Planning (MSP) in each pilot area. Municipalities and the main local stakeholders will be involved throughout the process. This new phase will run until May 2019 and will be followed by a transferring phase aimed at expanding the project’s results and methodology to a wider set of users and territories. During the second day, the CPMR’s Intermediterranean Commission (IMC), which is the CO-EVOLVE partner responsible for communication and dissemination, presented the progress of the communication activities and updated the partners on ongoing euro-med key initiatives related to the project, including the EU WestMed initiative, the Union for the Mediterranean agenda on Blue Economy, the Interreg MED PANORAMED project. 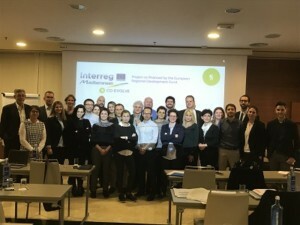 Representatives from other Interreg MED projects – ALTER ECO, SIROCCO and SUMPORT – were invited to present their projects so as to explore synergies with CO-EVOLVE. 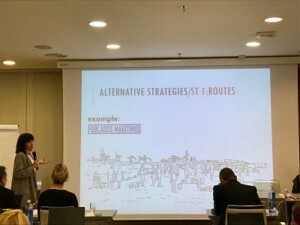 Several institutions took part in this sessions as observers, including the Port Authority of Valencia, Turismo Valencia and the EU Regional Policies Department of the Comunidad Valenciana.